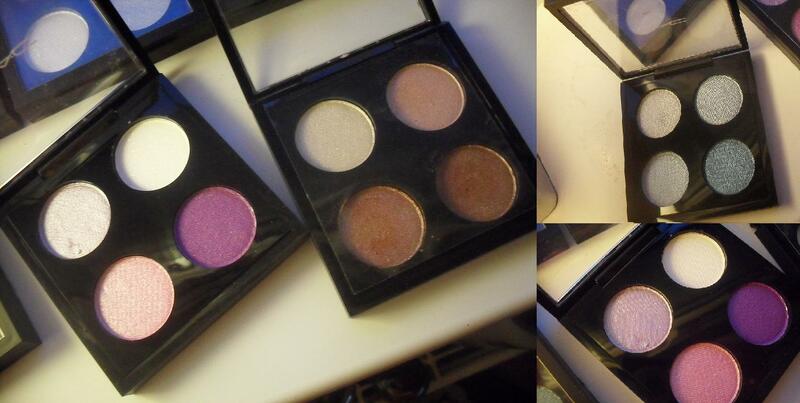 i decided to get a couple of 4 eyeshadow palettes to put in my makeup bag if i’m staying out or to use during the day. they’re all individual colours that i bought separately, as much as i love the ones that often released in collections i’ve never got round to buying them when they’re out. top row l-r = black/grey/silver, green/brown/neutral, cream/chestnut/dark brown. 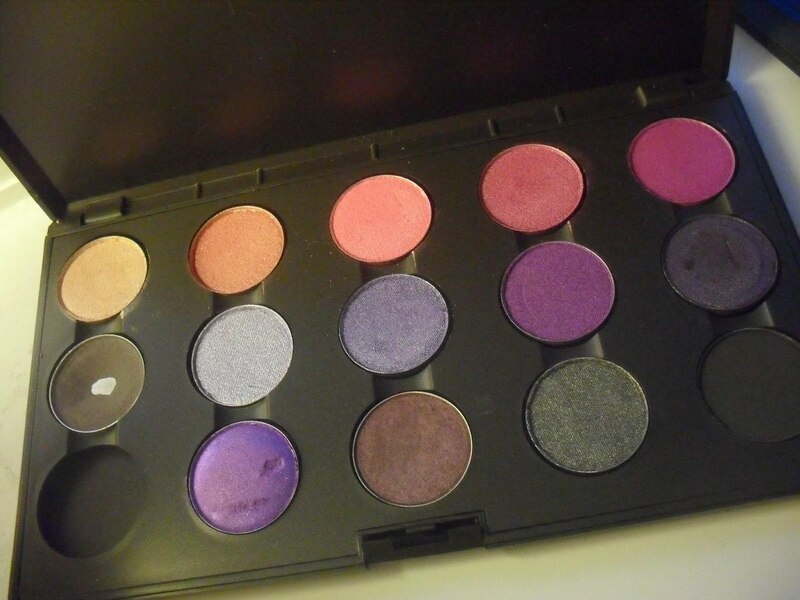 i bought the palettes from a MAC counter in fewicks, they’re £11.50 each and i bought 3 of them to include the majority of my shadows. i have a few that are still in pots, but they’re mainly ones that either don’t fit in palettes (like the mineral ones) or are limited editions. 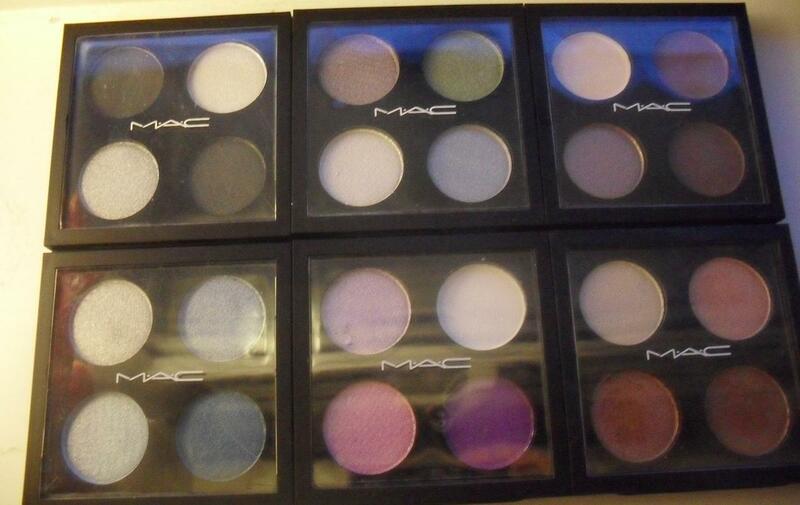 these eyeshadows have been collected by me for such a long time now. 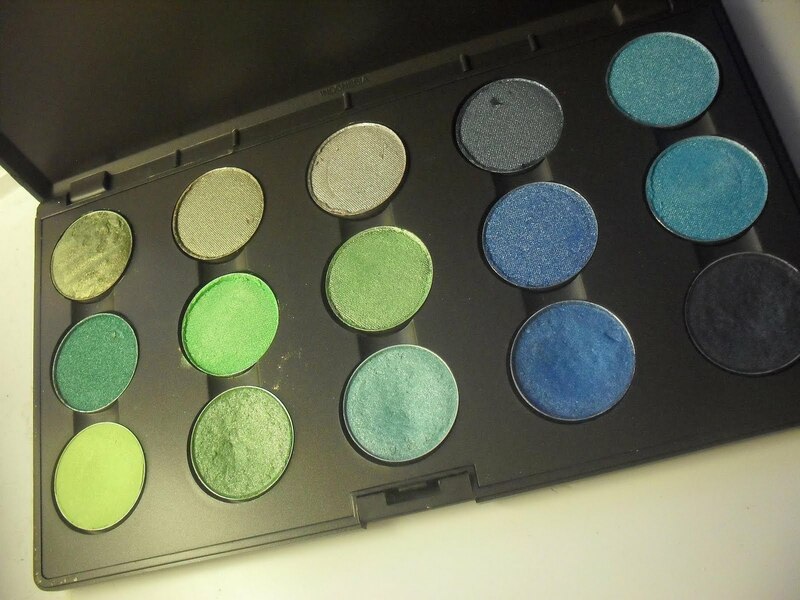 i’ve been meaning to put them in palettes for ages but just never got round to doing it until the other day. the majority of the ones that have hit pan or have more of a dent in them are ones i’ve depotted. the process of doing so was much, much easier than i thought it was going to be. just be careful of your fingers when you’re lifting the pan out of the glue, as it gets extremely hot! i tried to press one of them out onto a heat mat that had ridges so now it’s got big lines in it, oops. 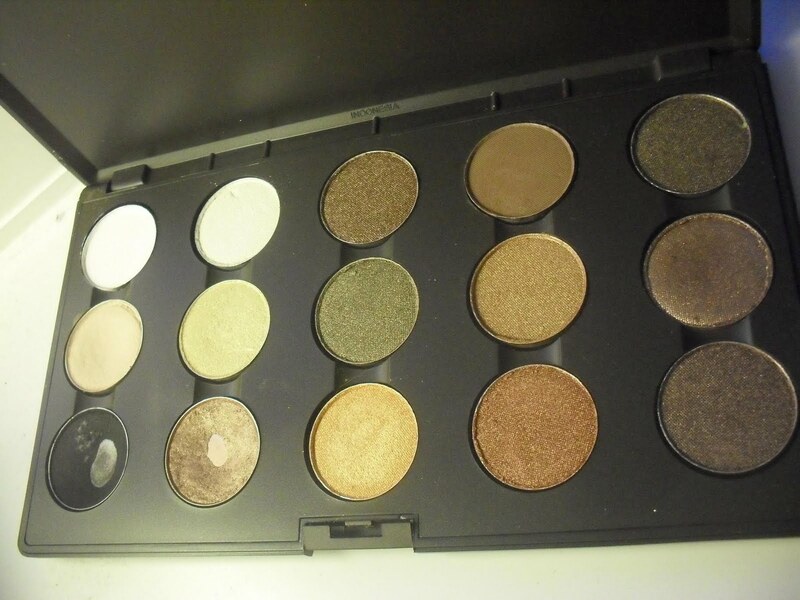 all of the others have been pro palette pans that i have bought from the MAC counter, ebay and various reputable places (it works out a lot cheaper to buy them this way too!) as i know there’s a lot of fake MAC going round at the moment so you have to be careful what you buy!